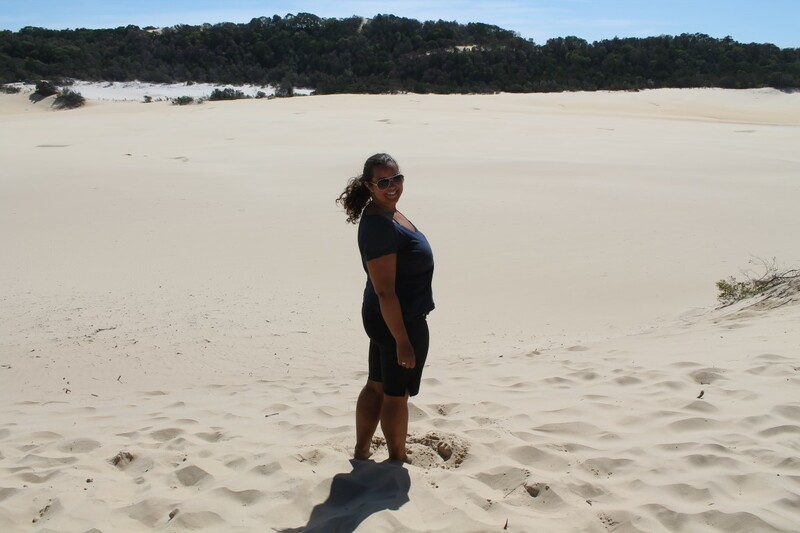 When I arrived to Australia I was informed that one of the must do tours in Queensland is camping on World Heritage Listed Fraser Island. 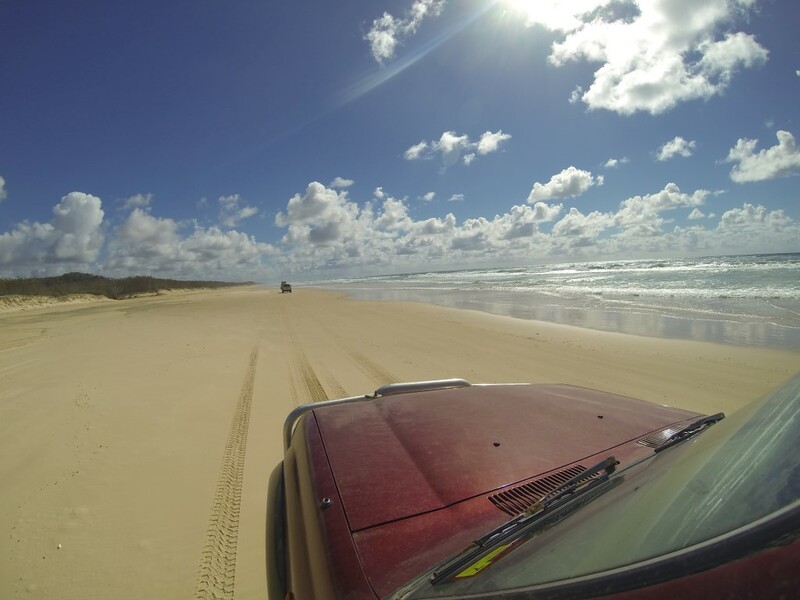 I quickly signed up for a Fraser Island 4WD Safari. 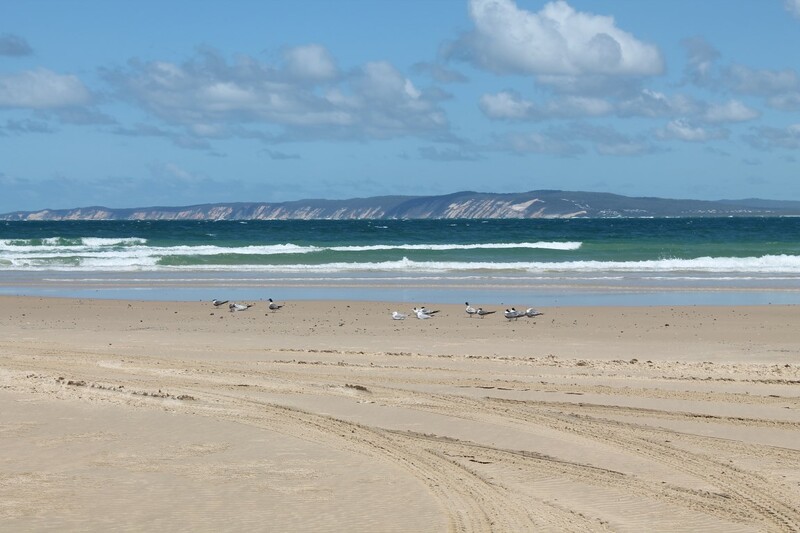 Fraser’s on Rainbow Beach took me on a 4×4 Tag-A-Long self drive adventure and guided tour of a life time to explore the world’s largest sand island. 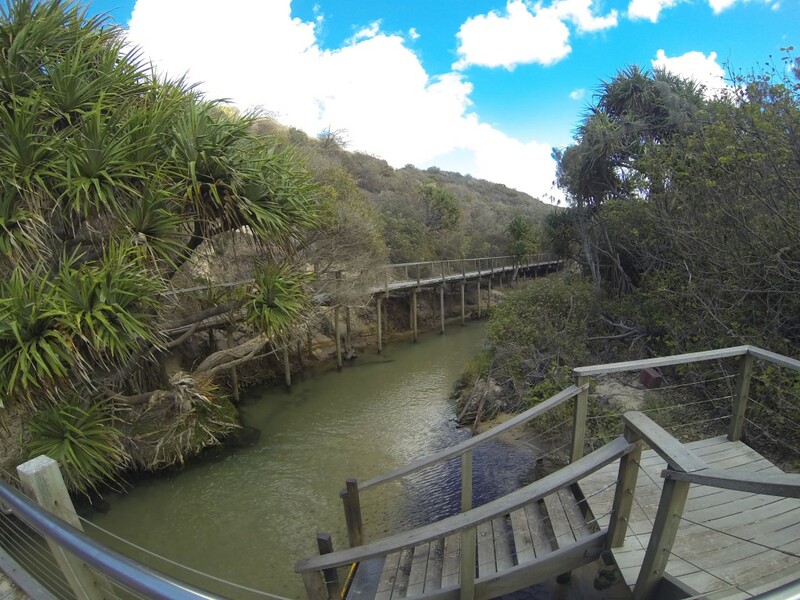 For three days, my Tag Along Safari leisurely visited the best sites on Fraser Island. At each location, my trip leader provided my group with the essential information of the area, then set us loose to enjoy the one of a kind natural wonders. Driving on one of the world’s longest sand highways (120 Kms) was an amazing experience. Never did I expect to find myself driving along a beautiful turquoise beach in a Toyota Land Cruiser on a sand road. This is not the typical Canadian driving experience. Driving on sand, similar to driving on snow was challenging yet exhilarating. I think my favorite part of the tour was driving on the beach! Surprised? Each night after driving throughout the island, we would set up camp just off the beach and over the sand dunes. Once our tents were set up we would cook own meals, wash our dishes in the sea, reminisce about what we saw during the day, star gaze (some of the brightest stars I’ve ever seen), while falling asleep with nothing but a sleeping bag to the sound of the ocean waves rolling in behind us. Each morning we were awoken bright and early to the sun shining down on the tents. While driving on the many sand roads through the island, we stopped at Eurong Beach Resort and Central Station/Pile Valley for picnic and outhouse (an outhouse is better than using the great outdoors as a bathroom) breaks. I don’t think my camping experience could have been much more basic. With no showers, bathrooms, mirrors, mattresses, and soiled clothes in tow-this is camping. 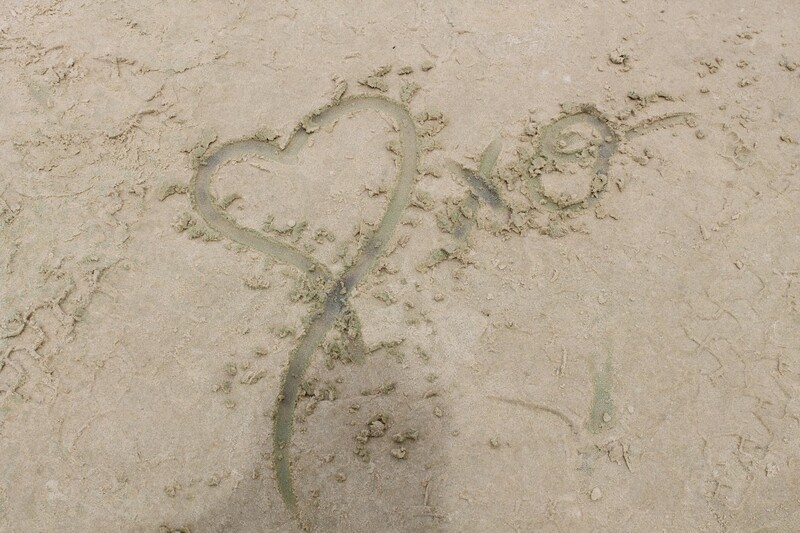 Living on a tropical sand island for three days means that sand gets everywhere-even in places where it shouldn’t be. I couldn’t even swim in the sea to clean up because of the abundance of mating Tiger Sharks in the area. Swimming in the fresh water lakes and creeks on the island was be luxury! I will live with nothing but two outfits and a swimsuit any day to have experienced one of the most diverse islands in the world. I’ve not seen anything like this before. 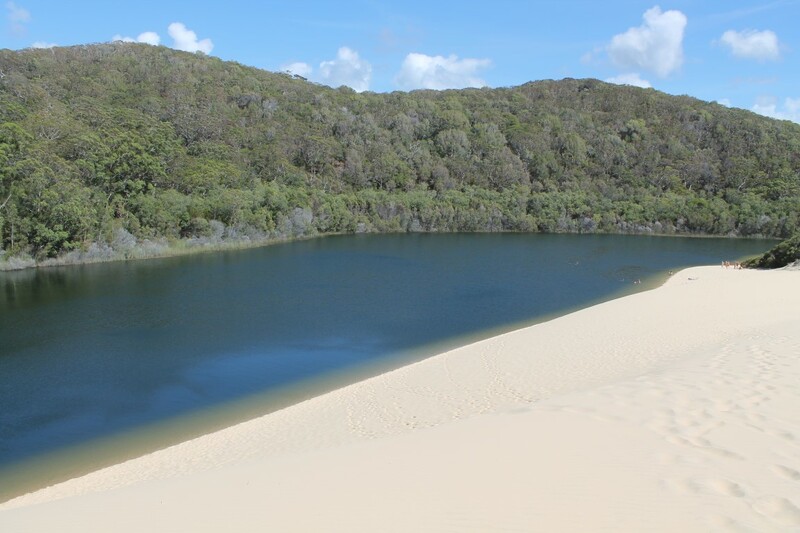 The world has only 80 perched (raised) fresh water lakes in the world and Fraser Island houses over half of them. It was a blessing to be able to see this one of a kind eco-system. 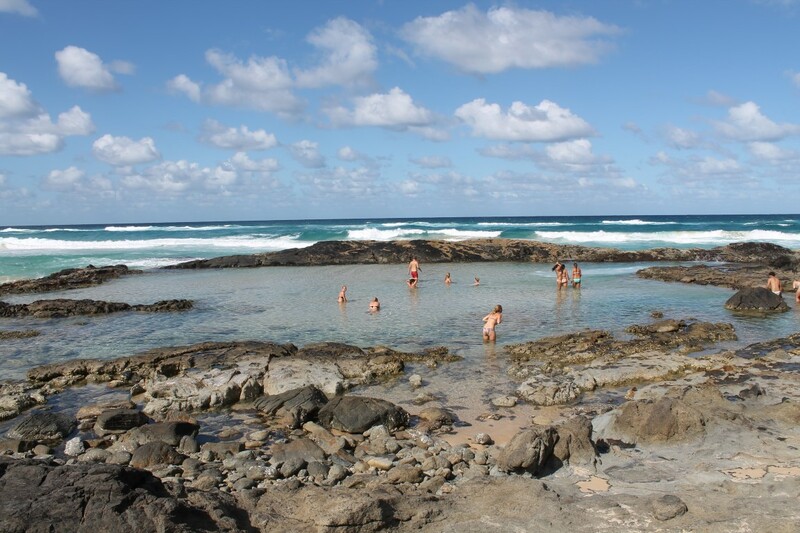 The island has everything from desserts, rain forest, lakes, creeks, to natural salt water swimming pools known as the Champagne Pools. My tour took me to all of the best spots, yet there is so much I didn’t see. 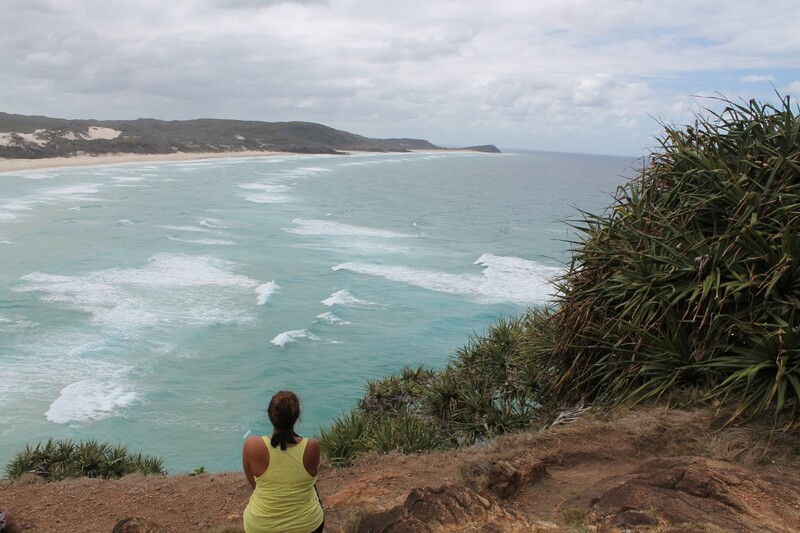 It would be a dream to be able to someday return to see the rest of Fraser Island. 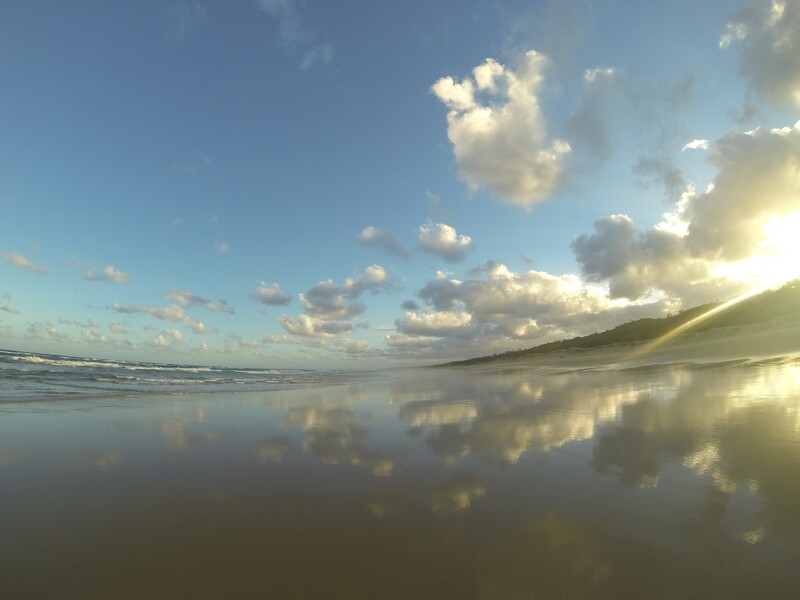 Fraser Island will put a smile on the face of every traveller; it will give each person an opportunity to see what they desire. 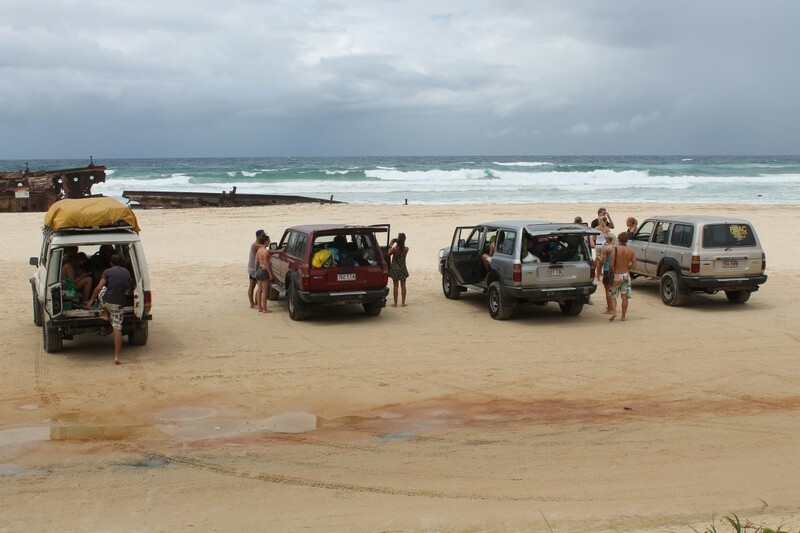 With various types of tours and lodging for every budget, Fraser Island will make anyone’s dream come true. I just happened to pick the most basic tour possible, yet the simple basics are what I remember the most. 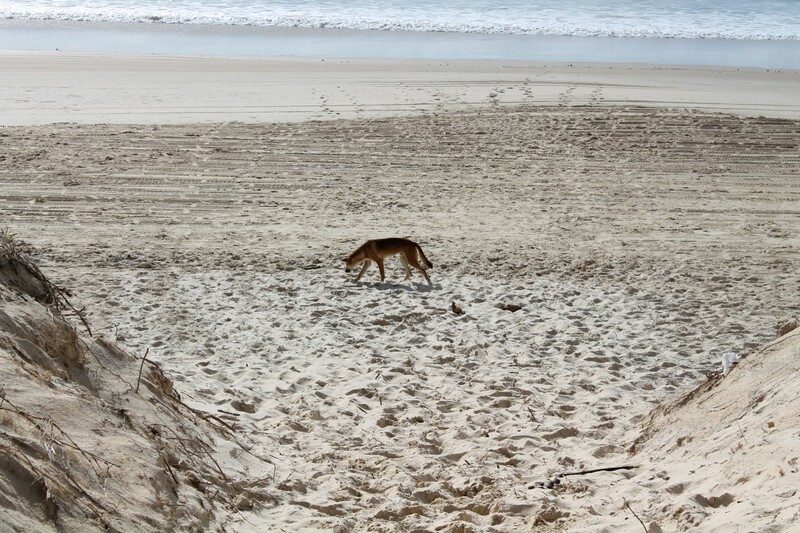 Even defending our camp and chasing away wild dingoes is part of the experience. Although an experience too close for comfort, and one that scared the daylights out of me on more than one occasion, I wouldn’t exchange my experience for the world. 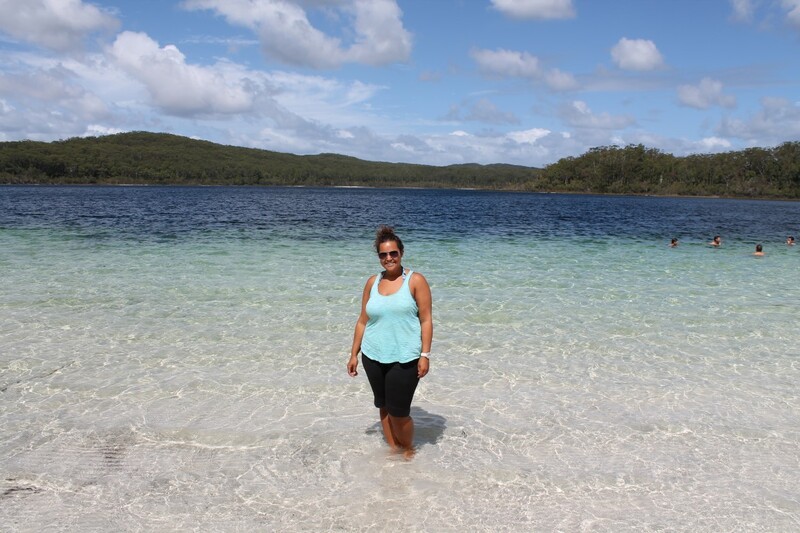 This entry was posted in Australia, Bucket List, Oceania, travel, Turquoise Travel and tagged Australia, Bucket List, Camping, Fraser Island, Queensland, Travel, Turquoise Compass, World Heritage Site by Turquoise Compass. Bookmark the permalink. Sounds amazing! 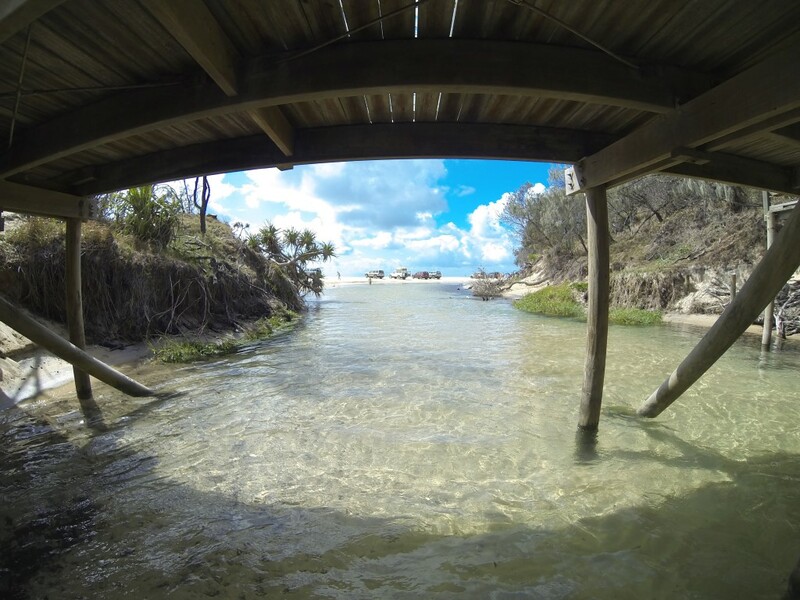 Fraser Island definitely should be on everyone’s bucket list. I couldn’t agree more! I hope people start adding it to the list. Your photos are gorgeous, again! 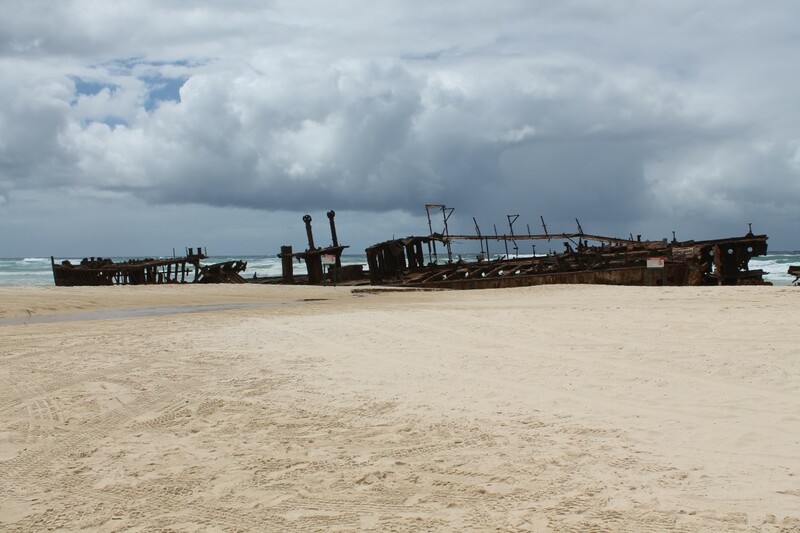 I heard about Fraser Island from some of the other exchange teaches but never looked into it. We might have to put it on our itinerary in summer 2015. It is a must! Exactly, next time around you can go there! It is one of the great places to visit – I’m glad that your travels included it. I have been though now feel enthused to visit again. Great! You should go again and let me know how you like it the second time around! Did you see any different places than me on the Island? It’s a wonderful place! So happy you stopped by!